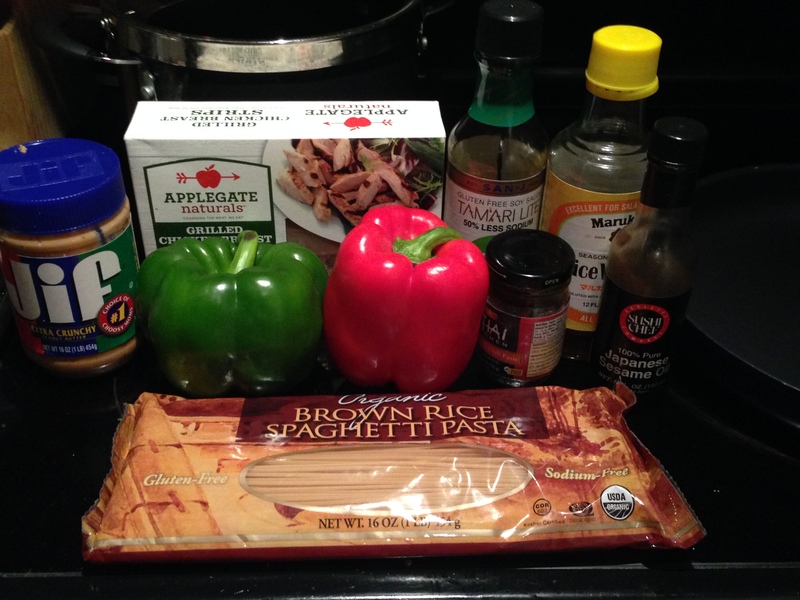 This recipe is one of my favorites when I don’t know what else to make. There are a bunch of ingredients, but a little goes a long way, so even though you’re buying a lot of new things up front, they will last you a long while. This one is a quick meal, but also super customizable. 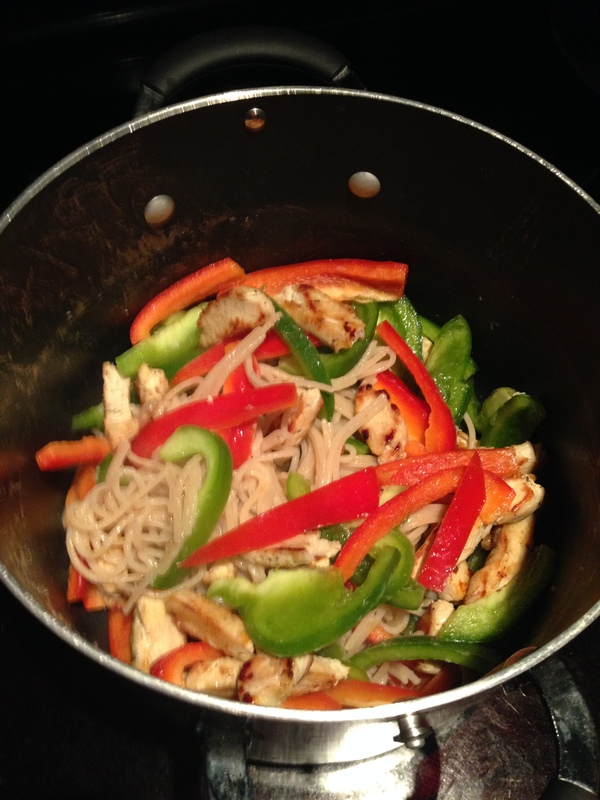 In the recipe below, I used red and green peppers, but you can really throw in any fresh vegetables you have laying around (I sometimes use a cucumber or some green onions, but anything with a crunch will succeed here). 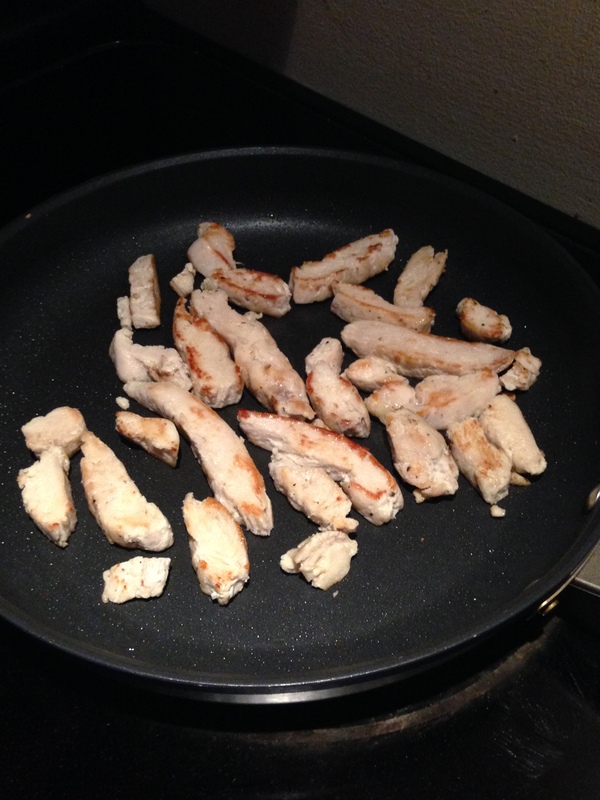 The original recipe is for shrimp, but I opt for some precooked chicken strips. You could also forgo the meat all together and make this a vegetarian option. Totally up to you! 1 green pepper cut into strips. 1. Boil a pot of water and add noodles. Boil until noodles are ready, about 10 minutes. Drain noodles. 2. To prepare the chicken, sauté in nonstick skillet coat ed with cooking spray over medium-high heat for 3 minutes on each side or until crispy on the edges. 3. 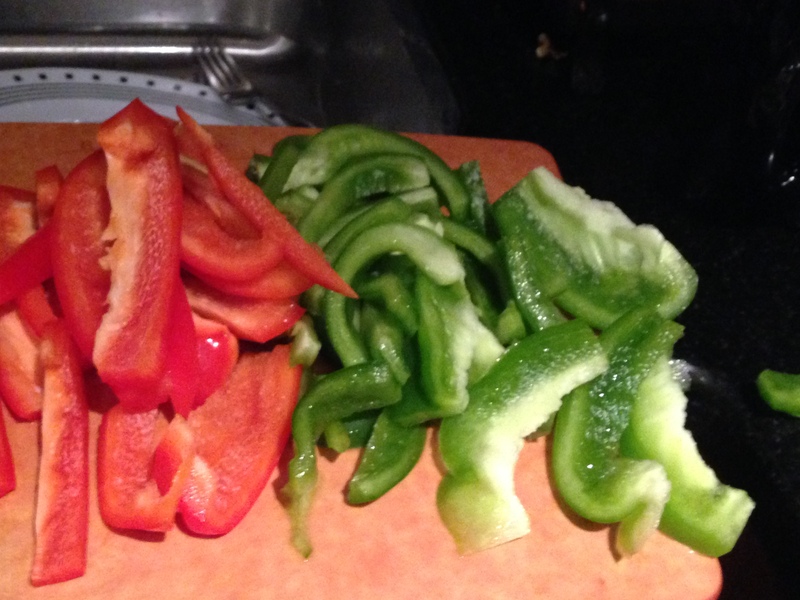 Slice peppers into strips. Set aside. 4. 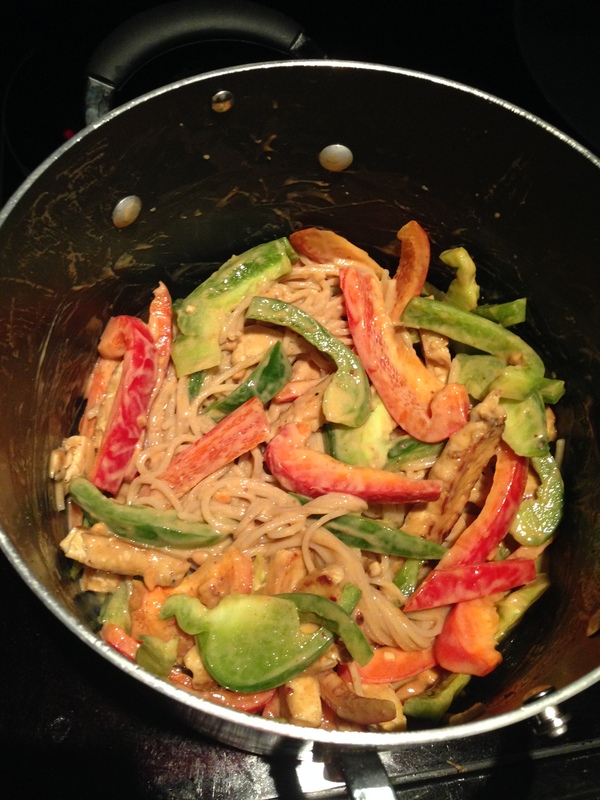 Combine chicken, noodles, and peppers in pasta pot. Stir together. 5. Add peanut sauce and stir. 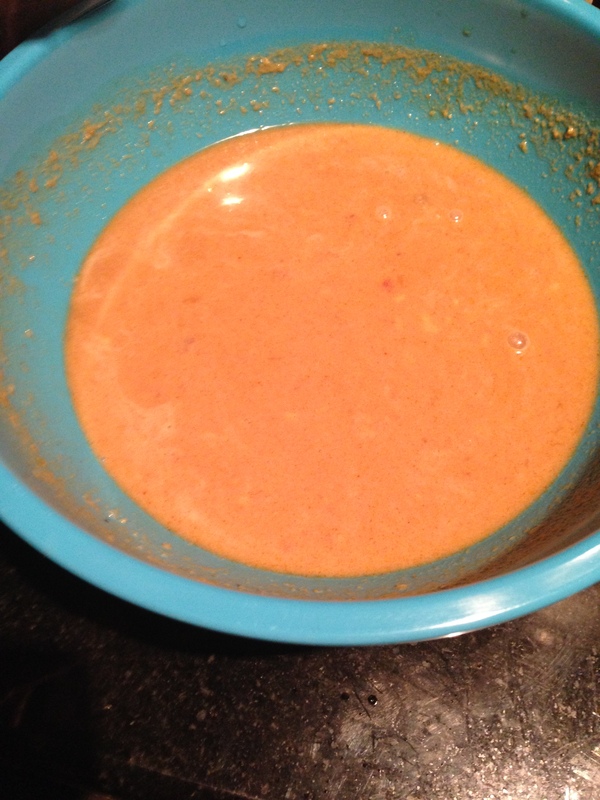 The sauce is sweet and yummy and this one throws together in about 10-15 minutes. It’s great when you don’t know what to prepare or you need to whip a lot of food up quickly. 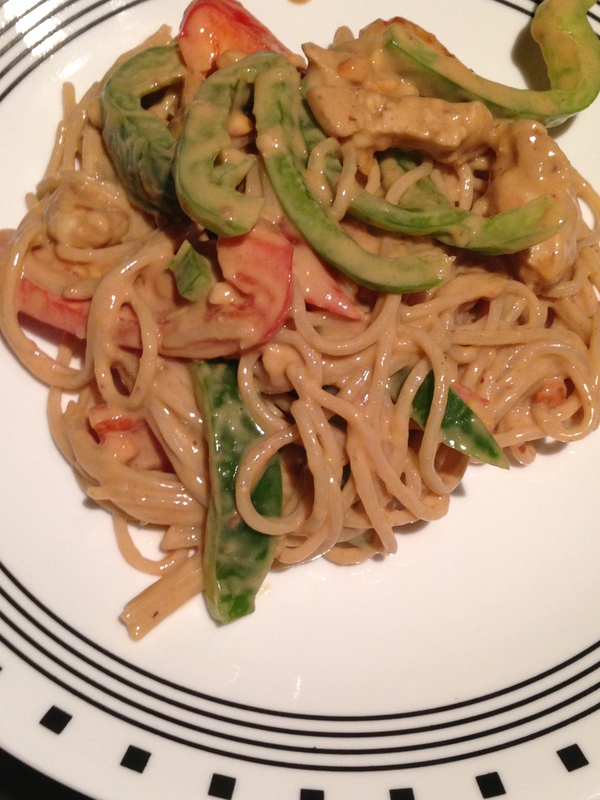 This one is consistently in my meal rotation, especially on busy weeks.